princes. But every conflict cannot be viewed from just one angle, and the Emperor’s eldest son has his own perspective on events. Fantasy Flight Games is proud to present “Children of the Empire Part III” by D.G. Laderoute, a new short story set in the world of Legend of the Five Rings! This story completes the “Children of the Empire” short story trilogy and can be downloaded here (6.2 MB). For the full context of this tale, be sure to read the first two parts of the story, “Children of the Empire Part I” and “Children of the Empire Part II”. 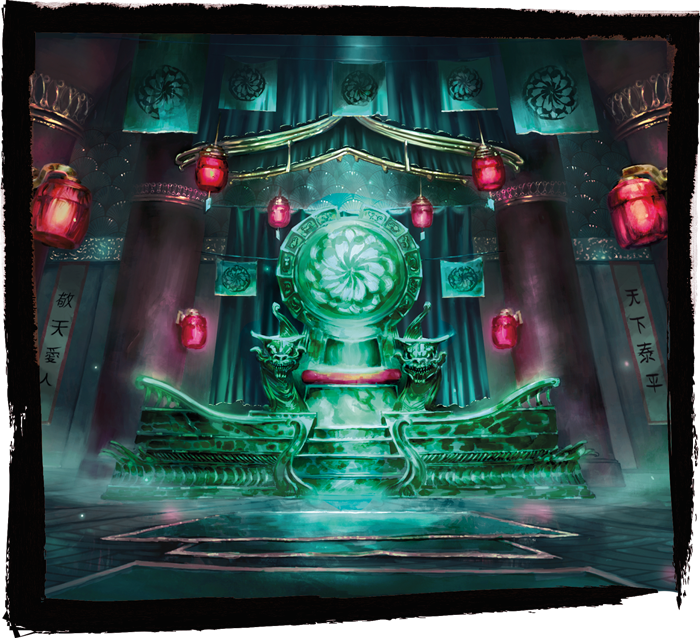 Keep your eyes on the Fantasy Flight Games website for more fiction set in the world of Rokugan, information on Legend of the Five Rings: The Card Game and Legend of the Five Rings Roleplaying! Also, be sure to pick up your own copy of the Children of the Empire premium expansion when it releases tomorrow! « Metalhead Minis: Check Out TurboDork Paint In Color- 3D Glasses!